CNN’s Christine Romans explains how a possible government shutdown could affect Americans. More from CNN at http://www.cnn.com/. 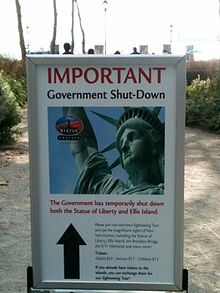 The United States federal government entered a shutdown on October 1, 2013, suspending services deemed “non-essential” by the Antideficiency Act. 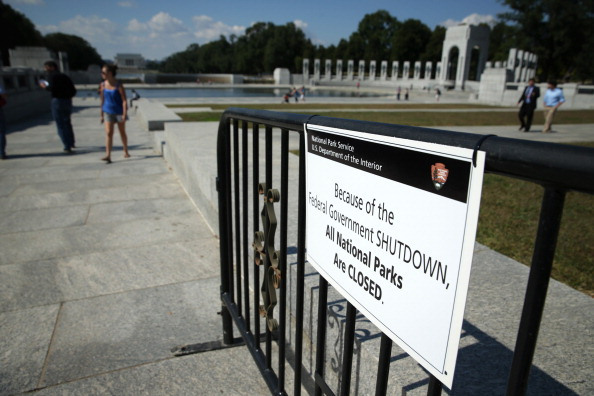 It is the first U.S. federal government shutdown since the shutdown of 1995 and 1996. 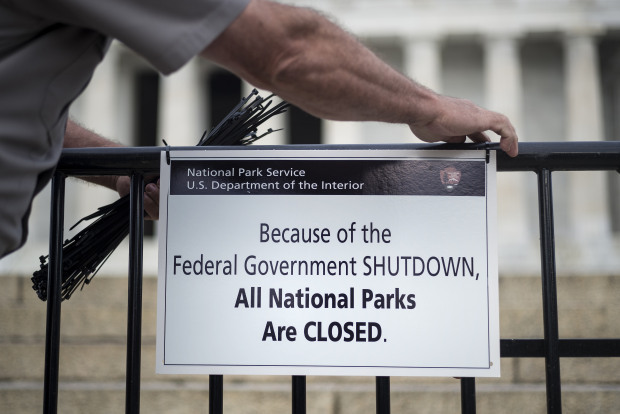 The United States Federal Government has shut down on 18 occasions since 1976, though only the shutdowns of 1995-96 both involved the entire federal government and were longer than 4 days. The shutdown was a result of political conflicts among Democratic President Barack Obama, the Democratic-controlled Senate and the Republican-controlled House of Representatives; specifically, the House’s refusal to fund government operations without delays or changes to the Patient Protection and Affordable Care Act and the Democratic majority of the Senate’s refusal to accept such conditions. October 1, 2013, the first day of the 2014 federal fiscal year, is also the date many of the Affordable Care Act’s provisions were to take effect. The health insurance exchanges provided for by the Affordable Care Act launched as scheduled on October 1. The United States Constitution requires government spending to be approved as legislation by the United States Congress. This requires the approval of a majority of members in both the House of Representatives and the Senate, as well as the approval of the president. When one or both houses of Congress are controlled by a different party than controls the presidency, negotiating a budget can be difficult. If no funding authority is provided by Congress, no money can be spent, except as may be allowed by the Antideficiency Act. This leads to the shutdown to operations deemed non-essential for those agencies which have not been funded, in accordance with the Antideficiency Act. Prior to the 2013 shutdown, federal government shutdowns had occurred 17 times since 1976, most recently in December 1995, though only the shutdowns of 1995-96 both involved the entire federal government and were longer than 4 days. Since no budget had been passed, the Senate proposed a continuing resolution to fund the government through December 2013, allowing additional time for negotiation over funding levels. Despite enough votes in the House for it to pass, Speaker John Boehner refused to allow a vote on it, otherwise the speaker might lose support from the faction that opposes the resolution, and he would likely have difficulty winning support from the Democratic caucus. Republican Senators Ted Cruz, Mike Lee, and others then demanded a delay or alteration of the Affordable Care Act in exchange for passing the resolution. Cruz delivered a 21-hour speech in the Senate to draw attention to his goals. On September 30, the Senate rejected several House proposals that would have funded the government through December while delaying and altering the implementation of some elements of the Affordable Care Act. In like manner, the House rejected the Senate’s proposals to fund the government without altering the implementation of the Affordable Care Act. Even if the Senate had conceded to House demands, President Obama threatened to veto any legislation that would delay the Affordable Care Act. Key government functions, such as air traffic control, remain functional under emergency funding statutes, though other related functions (such as training and support of these services) are suspended. Some agencies and departments—such as the United States Department of Veterans Affairs and Social Security Administration—are funded by long-term or mandatory appropriations, and are also largely unaffected. The United States Postal Service is self-funded and will continue normal operations. The Centers For Disease Control will not be able to conduct “in-depth investigations to identify and link outbreaks that may be occurring simultaneously in multiple states” or provide flu surveillance due to the furloughing of 68% of its employees. The Consumer Product Safety Commission will not recall products that might cause injuries but do not pose an imminent danger to safety. Meat, poultry, and grain inspectors will continue to work. However, the U.S. Department of Agriculture will not issue any statistical or economic reports, including reports on the prices and supply levels of agricultural commodities. These reports are particularly important to commodities markets. The Forest Service will close its offices and furlough the vast majority of its staff, with only a limited number of law enforcement and firefighting personnel remaining on duty. Campgrounds and other recreational sites will be shuttered. The Agricultural Research Service and the Foreign Agricultural Service will shut down. The Special Supplemental Nutrition Program for Women, Infants and Children, or WIC, may be seriously curtailed. The government will not contribute any new money into the program, which provides food for low-income pregnant women, mothers and young children. Some states may be able to continue operating the program with existing money for about a week. The Commerce Department will furlough 40,234 of its 46,420 employees. The United States Patent and Trademark Office will remain open for three to four weeks using funds from the fees it collects. The National Weather Service will continue to provide weather forecasts. Some activities related to weather research and developing improvements to the Global Forecast System will cease. The Commerce Department will not release data on the state of the economy. Deputy Defense Secretary Ashton B. Carter issued a memorandum detailing which employees would be furloughed. On September 28, 2013, Rep. Mike Coffman (R-CO) introduced the Pay Our Military Act (H.R. 3210; 113th Congress). The bill would “appropriate funds to pay the military at any time in 2014 when appropriations are not in effect”, a situation which would include any potential shutdown. It passed both the House and the Senate, and the President signed the bill into law, recording a video message for members of the military. The United States Department of Energy will furlough 9,584 of its 13,814 employees. Those working will continue to work and be paid until reserve funds are exhausted. About 86% of the Department of Homeland Security‘s 231,000 employees will continue to work during the shutdown. Airport screeners at the Transportation Security Administration will not be affected. 92% of the United States Secret Service, 88% of the United States Coast Guard, 88% of Customs and Border Protection and 78% of the Federal Emergency Management Agency will continue working. 97% of the United States Citizenship and Immigration Services will stay on the job. The Department of Homeland Security shut down the E-Verify system, which enables employers to check whether the people they hire are eligible to work in the United States. A number of states require employers to use E-Verify for all new employees. For instance, Georgia requires all companies with more than 10 employees to use the system. The Federal Housing Administration will continue to process applications for new home loans. However, the agency will furlough more than 96% of its staff, resulting in delays. All 401 units of the National Park Service will be closed, with only a limited number of law enforcement rangers and firefighters remaining on duty. The United States Park Police will erect barriers around National Monuments in Washington D.C. and across the country. The list of closed sites includes Yosemite National Park, the Statue of Liberty, Ellis Island, Philadelphia’s Independence Hall, Alcatraz, and numerous monuments in Washington D.C. including the Washington Monument and the World War II Memorial. The National Park Service will give visitors who are staying overnight in a National Park 48 hours to leave. The Bureau of Land Management will stop processing new permits for oil and gas exploration but will continue to monitor and inspect existing production sites and pipelines. The Bureau of Ocean Energy Management will stop nearly all work on new offshore energy production. 85% of Justice Department employees will stay on the job. Law enforcement officers will stay on the job, but work on civil litigation will stop. For instance, the Justice Department filed a motion requesting to delay the antitrust trial over the American Airlines–US Airways merger. The Justice Department is also seeking to delay a lawsuit brought by the Electronic Frontier Foundation seeking information about government surveillance and a lawsuit brought by the American Civil Liberties Union seeking information on the use of armed drones. The Occupational Safety and Health Administration will stop all workplace safety inspections that do not involve immediate danger or death. Investigations into wage theft and employment discrimination will stop. The Labor Department will continue to pay unemployment insurance and worker’s compensation claims. 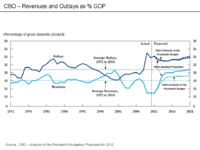 The Bureau of Labor Statistics will stop conducting research on employment and the economy. The Bureau will stop work on the monthly report on employment. This report, which was scheduled for release on October 4th, is widely used by financial markets to assess the state of the US economy. The Labor Department’s weekly report on jobless claims will not be affected. Of the Labor Department’s 16,304 employees, 82% will be furloughed, while 2,954 will stay on the job. Medical services provided by the Department of Veterans Affairs will be unaffected by the shutdown. 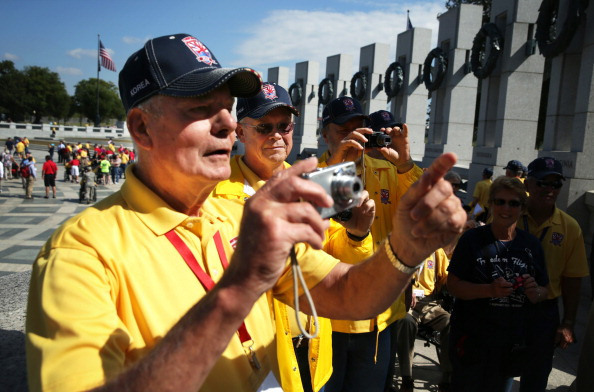 Veterans have already received pension, disability, and GI Bill payments for the month of October. If the shutdown lasts for more than two or three weeks, the VA may not be able to pay benefits for the month of November. 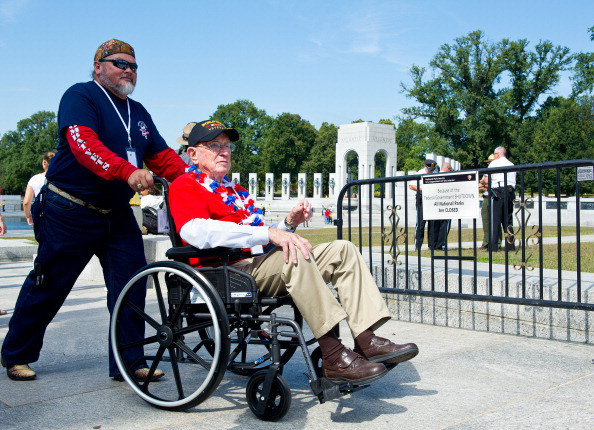 The VA will continue to work on disability claims that were filed before the shutdown, but veterans may experience delays. New disability claims will not be processed during the shutdown and all appeals of disability claims will be suspended. 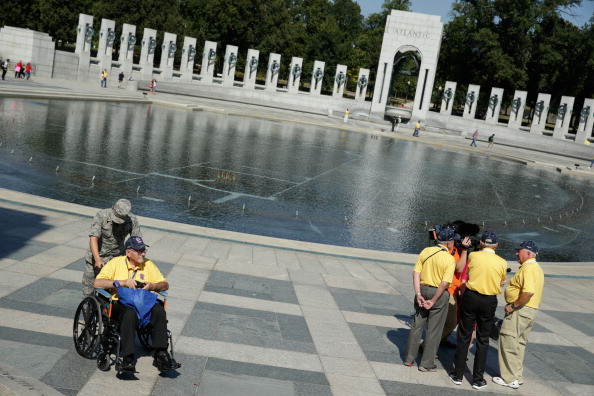 The VA will furlough 14,224 of its 332,025 employees. The Environmental Protection Agency will furlough over 93% of its 16,205 employees. The Agency will almost entirely cease issuing licenses and permits, which may cause delays for companies seeking to build or expand facilities. The agency will stop working on new policies in areas such as air pollution and renewable fuels. The Federal Aviation Administration will furlough 15,500 of its 46,000 employees. Air traffic controllers will continue to work, but about 3,000 airline safety inspectors will be furloughed. Work on the Next Generation Air Transportation System will cease as will training for air traffic controllers and aviation policymaking. The Federal Communications Commission will furlough about 98% of its 1,754 employees. The FCC will stop working on its approvals of mergers in the broadcast television industry. Among the deals that will be delayed are the $1.5 billion purchase of Beloby Gannett, the $2.7 billion purchase of Local TV by Tribune Company and the $985 million purchase of Allbritton Communications Company by Sinclair Broadcast Group. The FCC will suspend work on the testing and approval of new wireless products, such as cell phones. A prolonged government shutdown may delay the release of new products. The Federal Reserve is not affected by the Government shutdown as it is not dependent on Congressional appropriations for its funding. Approximately 45% of the Food and Drug Administration’s 14,779 employees will be furloughed. The FDA will stop routine food safety inspections as well as most of its laboratory research. Employees will still handle emergencies and high-risk product recalls. The General Services Administration will furlough a large part of its 11,821 employees while maintaining an active workforce of about 4,094 to continue maintenance of federal property and to continue ongoing construction projects through the Public Buildings Service. Employees of the Federal Acquisition Service will not be immediately furloughed but may be subject to a phased shutdown that could take 25 business days. Intelligence agencies will continue to operate but 70% of the civilian workforce will be furloughed. Reuters reported that the Central Intelligence Agency will furlough approximately 12,500 employees. There will be less of an impact at the Defense Intelligence Agency and the National Security Agency, as a large percentage of the workforce of these agencies are uniformed members of the military. A spokesman for the Director of National Intelligence said: “The Intelligence Community’s ability to identify threats and provide information for a broad set of national security decisions will be diminished for the duration. The immediate and significant reduction in employees on the job means that we will assume greater risk and our ability to support emerging intelligence requirements will be curtailed. The fraction of Intelligence Community employees who remain on the job will be stretched to the limit and forced to focus only on the most critical security needs.” If the shutdown lasts for more than a few weeks intelligence operations could also be affected by delays in awarding new contracts or paying existing contractors. The Internal Revenue Service will not provide assistance to taxpayers during the shutdown. Tax refunds are likely to be delayed, but taxpayers with an extension of their 2012 income tax return will still be required to submit the return by October 15. The IRS will suspend audits of taxpayers during the shutdown; however, IRS criminal investigations will continue at nearly normal levels. 90% of IRS employees will be furloughed. The Library of Congress has shut down. The National Library Service for the Blind and Physically Handicapped will cease operations and all Library of Congress websites except for two sources of legislative information, THOMAS and congress.gov, will remain inaccessible. NASA will furlough 98% of its staff, leaving fewer than 600 out of 18,000 employees on the job. NASA will continue to support the astronauts on the International Space Station and the agency will maintain spacecraft that have already launched. However, work with unmanned spacecraft will be minimal. According to NASA spokesman Allard Beutel, the Curiosity rover currently on Mars “will be put in a protective mode for the security of the rover, but no new data-gathering will take place.” The Hubble Space Telescope will continue to operate, but analysis of the data it collects will cease. Work on any spacecraft that have not yet launched will stop. NASA TV, the organization’s cable and IPTV network, was taken silent beyond a still screen. The National Science Foundation will not make payments to scientists during the shutdown. The NSF will not accept reports from grantees and will not respond to inquiries. The Small Business Administration will stop processing new loans to small businesses with the exception of loans to businesses affected by natural disasters. Existing loans will be unaffected. Programs that help mentor business owners, including businesses owned by veterans, will be shut down. About 62% of SBA employees will be furloughed. The Smithsonian Institution will shut down. Among the attractions that will be closed are the National Museum of Natural History, the National Air and Space Museum, and the National Zoological Park. Skeleton crews will be on site to provide security and to feed and care for the animals. The United States Department of State will continue to process visa and passport applications, using funds from fees. Consular services will also continue. The department’s Office of the Inspector General will shut down. The State Department has also instituted a hiring freeze and delayed the start dates of applicants who received job offers. The National Archives and Records Administration (NARA) will shut down all its archival facilities and the NARA-operated parts of Presidential Libraries. The NARA Federal Records Centers will remain open. Most NARA employees will be furloughed. The United States Holocaust Memorial Museum will shut down as will the United States Institute of Peace, a government think-tank. Another research institute, the Woodrow Wilson International Center for Scholars, will continue operating with reduced staffing. Since the District of Columbia‘s budget is set by Congress, local government functions can be affected by a shutdown. The city is using money from a reserve fund to continue operations, but if a shutdown continues, that fund will be exhausted by October 13th. As a contingency, the District of Columbia government is requesting permission from the Obama Administration to designate all of its personnel as essential, meaning that they would continue to work even if the shutdown lasts beyond the 13th. As of October 1st, the Office of Management and Budget has yet to respond to the request. The District of Columbia Superior Court will delay payments to witnesses, jurors, court-appointed lawyers, language interpreters and others until after the shutdown ends. Moody’s Analytics estimated that a shutdown of three to four weeks would cost the economy about $55 billion. Lost wages of Federal employees will amount to about $1 billion a week. Goldman Sachs estimated that a three-week shutdown would reduce the Gross Domestic Product of the United States by 0.9%. 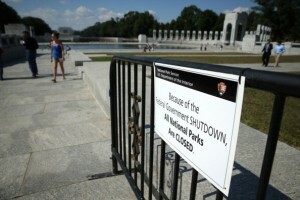 According to the Los Angeles Times, a two-week shutdown would reduce GDP growth by 0.3% to 0.4%. By comparison, the GDP has grown by less than 2% in 2013. The economic impact of the shutdown will be particularly severe in the Washington D.C. metropolitan area. Approximately 700,000 D.C. area jobs could be affected at a cost of $200 million a day. The State of Maryland predicted that it would lose approximately $5 million a day in tax revenue. Local communities across the country will also see a significant economic impact, particularly those communities that are heavily dependent on the Federal government. For instance, during the month of October, tourists spend about $2.7 million a day at the Grand Canyon National Park and other National Parks in Arizona. Analysts are concerned that the political gridlock will extend into mid-October, when Congress and the President must raise the debt ceiling to avoid default. Following the debate over the debt ceiling in May 2013, the Treasury Department was forced to engage in extraordinary measures to fund the government. In August 2013, the Treasury informed Congress that the extraordinary measures would be insufficient starting in mid-October and further specified, in late September, that the U.S. would begin to default on its debts if a new debt ceiling was not approved by October 17.